Many years ago, I found myself with the very happy task of guiding a group of Australian suppliers to the wine industry around the wine growing districts of California. We finished up at a couple of major International Exhibitions in the Central Valley. We were there do business and we did very well. There was a labelling company, a capsule and muselet business, a few other businesses selling disposables of various sorts, an automatic harvester manufacturer, various agricultural and winery machinery companies with bespoke solutions for the industry, and a software business. What marked all of them out was an ability to compete internationally. They had innovated out of necessity brought about by the twin challenges of expensive labour and short production runs connected to operating in a small market. As I read this latest piece from Grant Thornton on the opportunities and threats presented by the continued march of automation and technology, it strikes me how well placed Australian business is, more generally not just in wine, to respond to this challenge. Our latest research also shows that these businesses, competing overseas, are much further down the digital transformation path than their domestic competitors. High labour rates and potentially small production runs have been part of the reality for most businesses here in Australia for decades. We are enjoying working with many businesses who are mastering that challenge and growing off the back of this automation challenge. For our part of the practice this means working on our clients' successful digital transformation and introducing them to key opportunities in adjacent markets in the Asia-Pacific. As it happens, if this month's client visits are anything to go by, the USA is popular again. 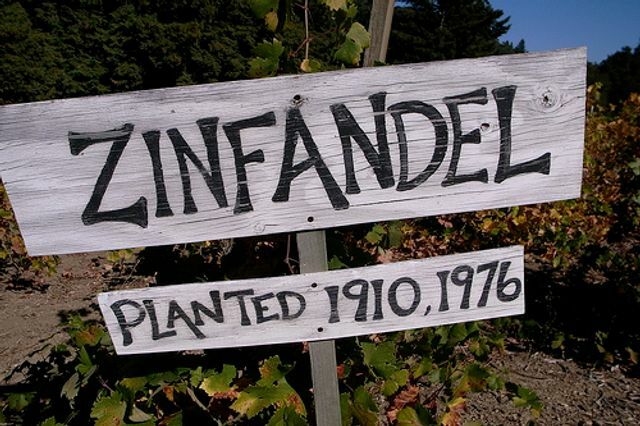 Although unfortunately, nowhere near the Zinfandel Vineyards of California! Many are excited by the prospect of automation transforming the business landscape, while others see it as a potential threat to third party providers of low skilled labour, a pillar of some economies in the region..... Automation will fundamentally change the way businesses operate. Those businesses who are prepared to be brave and invest in new ways of working, while also getting the most out of their skilled workforce, will stand the best chance of success in the years ahead."